New Delhi-The Vice President,M. 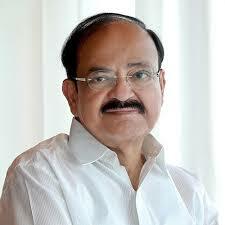 Venkaiah Naidu has urged all political parties to agree on a common agenda on vital issues relating to the nation’s progress and security. For that to happen, every politician should rise above narrow and short-term rhetoric, he said. Speaking on the topic, India, Our Opportunities and Challenges at The Huddle 2019 organized by The Hindu, in Bengaluru today, he said India is the fastest growing economy and poised to become the third leading major economy in the next 10-15 years. He said opportunities were beckoning us and we need to seize the moment. Referring to challenges that were impeding progress, he called upon all political parties to adopt politics of consensus on promoting inclusive growth; ending agrarian distress and making agriculture profitable; eradicating poverty and illiteracy; empowering the deprived and weaker sections; ending gender and caste discrimination, fighting the menace of corruption, bridging urban-rural divide and protecting the unity and integrity of India. Unless these challenges are tackled on a war footing in a mission mode, the fruits of development will not reach every deserving section, he added.